Crew on a fishing vessel stuck in sea ice off Newfoundland's Baie Verte Peninsula have been airlifted off a ship that is taking on water, CBC News has learned. Thick sea ice is keeping coast guard officials from reaching that ship — as well as three others. Jamie Matthews owns one of the stuck boats, and said he heard a mayday call that said one of the boats, the Avalon Princess, was taking on water and the crew had to be airlifted to safety by a Cormorant helicopter Wednesday afternoon. He has been watching the boat sink from his vessel nearby and, at the time he spoke with CBC, said he could still see some of the wheelhouse of the Avalon Princess sticking out of the water. 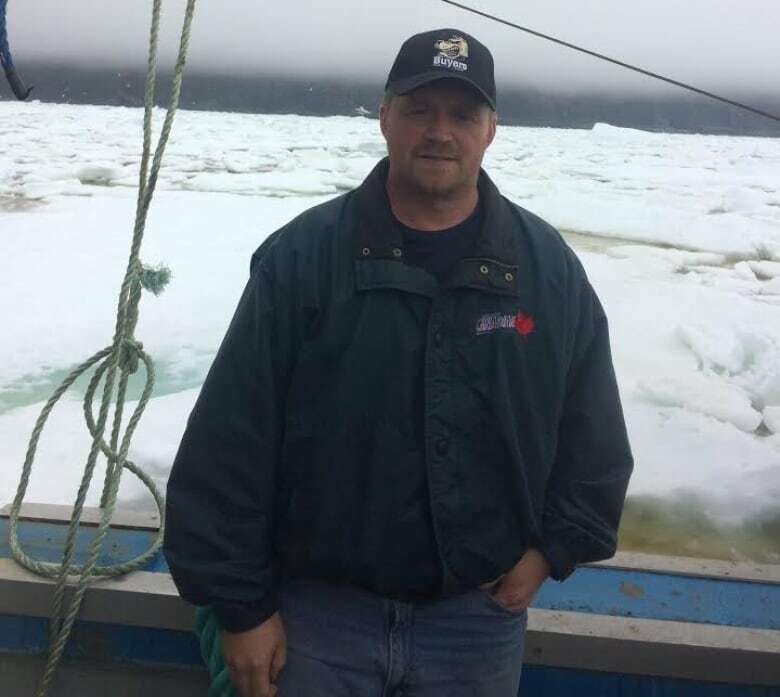 Matthews said five boats left La Scie Harbour on Tuesday to fish for crab, but ran into trouble with the thick ice pack once they got out in open water. One of those five boats returned to shore without incident. "We just got out so far here and we couldn't go any further. 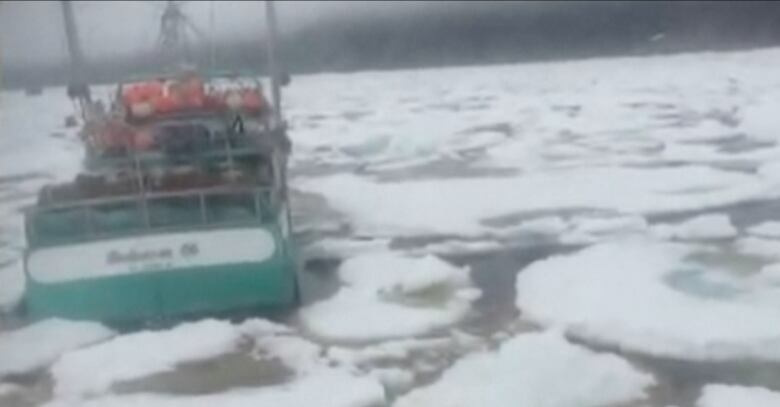 We just haven't got the power to push the ice," he told CBC from his boat about 200 yards from the coast of La Scie. "We're stuck in the ice but we're in no danger here. Not at the moment, anyway," he said. "It's big sheets of ice. We looked at it yesterday on the lookout and it didn't seem too bad up there looking down on it. We figured after so long we would wiggle our way out through. But yeah we're here now and we can't do anything with it." Matthews said it may seem foolish to venture out amidst that kind of ice, but after two months of not earning any money, he said he and his four crew were willing to take the risk. "There's bills to pay and things are piling up, and we've just got to get fishing," he said. "The time is slipping away." A Canadian Coast Guard ship that was supposed to rescue the four fishing vessels stuck in sea ice can no longer proceed due to the severe ice conditions. The Canadian Coast Guard made the call to halt the Amundsen from heading out to assist the four boats after a reconnaissance flight Tuesday showed two-metre-thick sea ice filling the waters just outside La Scie Harbour. 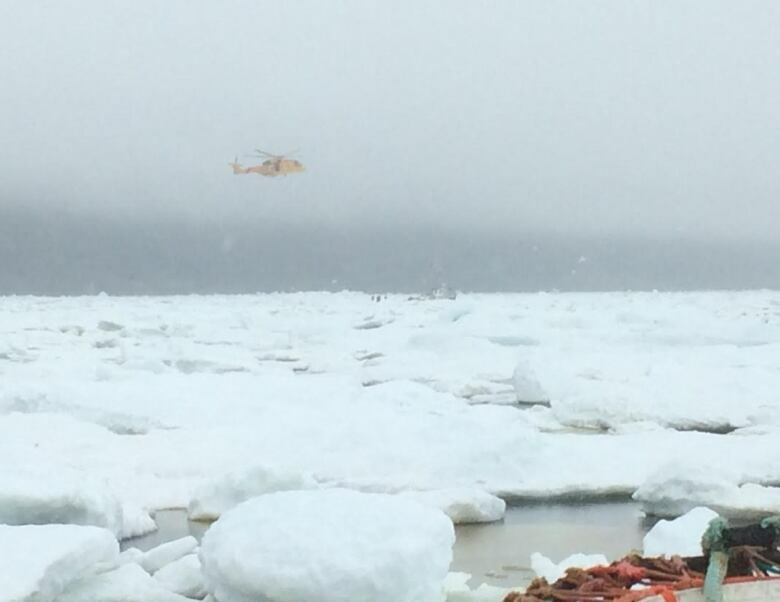 The coast guard says it will continue to monitor the situation and watch for ice conditions to improve. Just hours before the Avalon Princess made the mayday call, the Canadian Coast Guard said the fishing vessels were stable in the ice and not in any immediate danger. Matthews said all he and his crew can do now is wait for assistance to come clear a path in the ice, and hopes they do it soon given the desperation the fishermen are feeling. "There hasn't been a pound of fish landed here this year," he said. "Everybody's hurting."